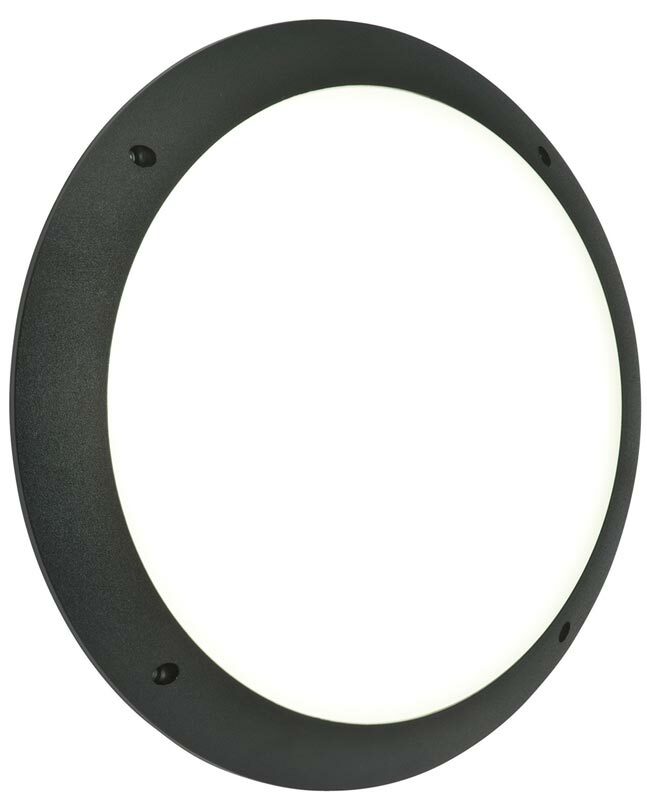 The Seran plain, black, LED outdoor bulkhead light, rated IP44 is a circular impact resistant polycarbonate wall light, with an opal shade to diffuse the light. 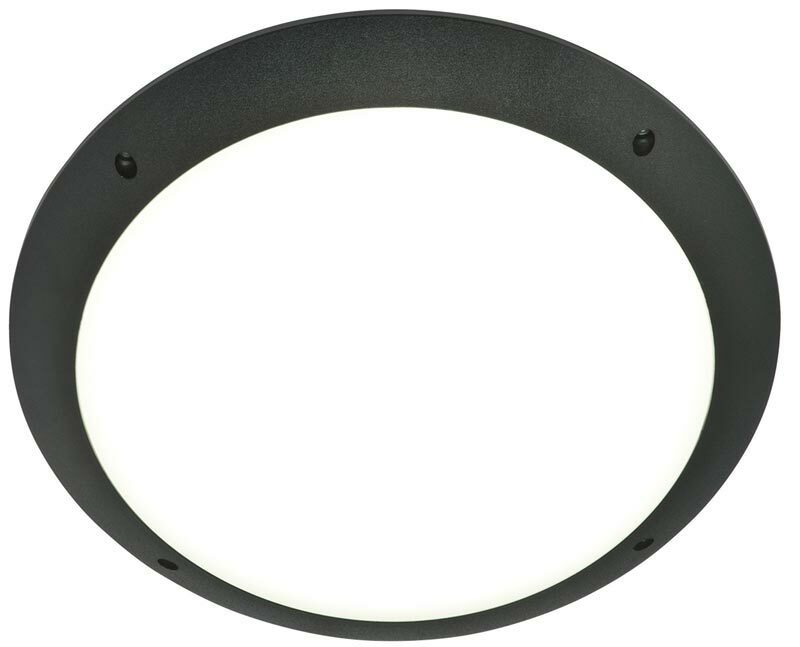 Fitted with 12w of daylight white LED’s, this bulkhead provides a very useful 1000 lumens of light. Its flush design makes it suitable for both walls and ceilings, offering a robust, low energy option suitable for both outdoor walls and porch ceilings. Finished in textured matt black. There is an eyelid option and also available finished in white, please scroll down to view.